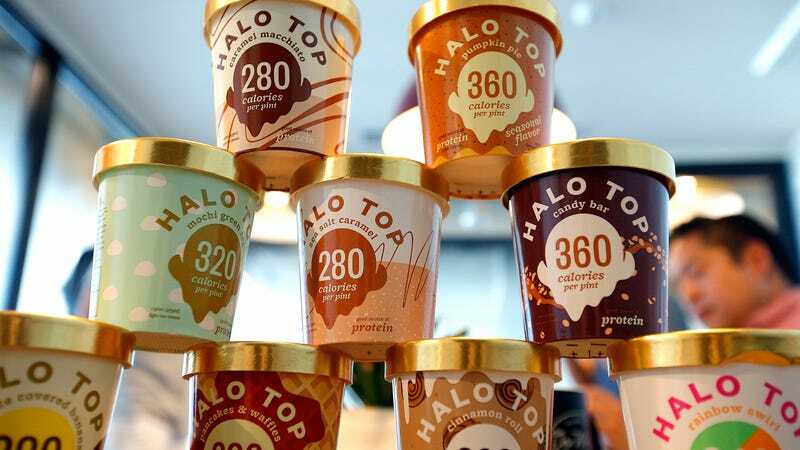 Just having a hard time getting around that: Did Berger think that this was some sort of magic ice cream that was regular full-fat and still only 320 calories a pint? How would that be possible? Berger even takes issue with the brand name, saying that “halo” implies yellow, “a color associated with butter and cream.” We’re having a hard time believing that Berger somehow found a lawyer to represent him, but hope that whatever poor judge gets assigned this case laughs it right out of the courtroom.